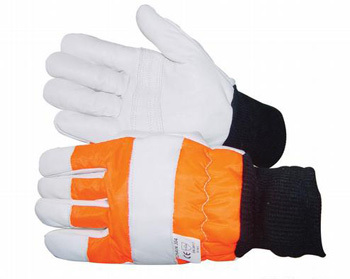 High visibility orange glove with hid palm and knitted wrist. Protection on back of hand. These gloves conform to safety standard EN 381-7. Delivery of this item is FREE to all UK postal addresses. Delivery within one to three working days.